Part of the new Ladybird Expert series, Artificial Intelligence is a clear, simple and entertaining introduction to intelligent machines and the humans that program them. 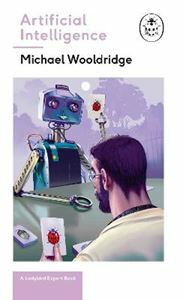 Written by computer scientist Michael Wooldridge, Artificial Intelligence chronicles the development of intelligent machines, from Turing's dream of machines that think, to today's digital assistants like Siri and Alexa. AI is not something that awaits us in the future. Inside you'll learn how wehave come to rely on embedded AI software and what a world of ubiquitous AI might look like.